A SECOND bonus point win over Zebre looks even more critically important for Ulster now than it did before they first met in Italy two weeks ago. There, the visitors ran in six tries in a 40-17 win, but it was somewhat undermined by failing to take the maximum from the home meeting with Treviso last weekend. 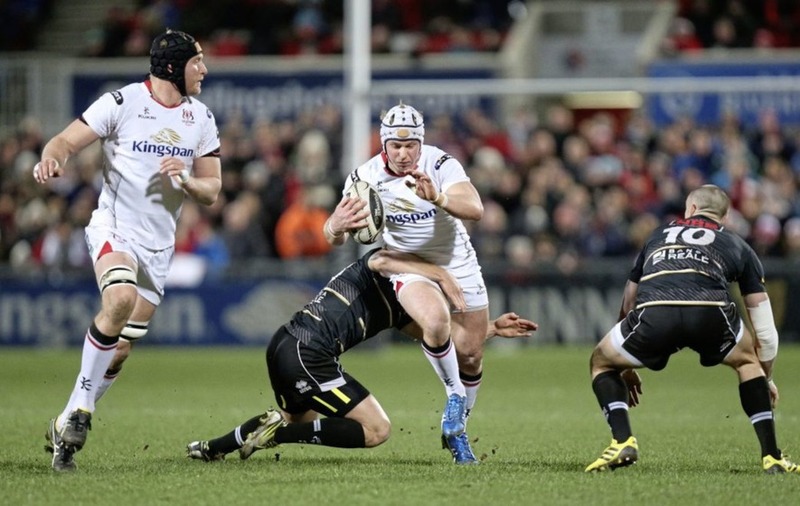 There are bigger fish for Ulster to fry in the run-in, with Newport-Gwent Dragons, Cardiff, Munster, Ospreys and Leinster representing a tough run in. Hence the importance of taking the full five points on offer from the return leg with a severely weakened Zebre, who will be without nine players that form a big chunk of the Italian squad to face France in the Six Nations. On the Ulster end, Jared Payne has been deemed fit to start for Ulster in this evening's Pro12 game with Zebre, perhaps offering a window into a change of heart from Joe Schmidt. Garry Ringrose was reported to have been preferred for last night's Six Nations clash with Wales because of Payne's failure to recover from bruising on his ankle, but the versatile Kiwi's inclusion at full-back for Ulster undermines that logic. Jack of all trades Stuart Olding will start at fly-half having switched there late in last weekend's win over Treviso, where he will pair Ruan Pienaar, who celebrated his 33rd birthday yesterday. It's clearly an evening that Les Kiss feels he can experiment with as youngster Jacob Stockdale moves from his traditional slot on the wing for a trial at outside centre. He is paired by Luke Marshall, both of whom were replacements in the frustrating 19-7 win over Treviso last weekend. Craig Gilroy and Charles Piutau will provide the menace out wide. The front row is unchanged as props Callum Black and Wiehahn Herbst, earning his 50th cap, will start either side of captain Rob Herring. Kieran Treadwell will partner O'Connor in the engine room, while Marcell Coetzee will pack down at number 8 alongside Diack and Henry in the back row. 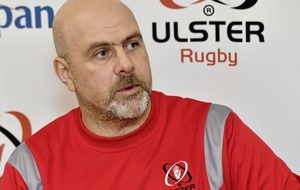 Rodney Ah You has recovered from injury and is named among the replacements with fellow forwards John Andrew, Andy Warwick, Franco van der Merwe and Clive Ross, who could also make his 50th Ulster appearance. Backline players Paul Marshall, Pete Nelson and David Busby, who made his debut against the same opposition a fortnight ago, will offer strong impact options off the bench. After failing to claim a bonus point against Treviso last weekend, four tries and a win has become an absolutely essential return this evening.